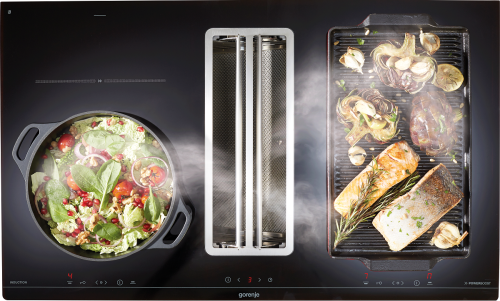 The Gorenje OmniFlex hood-in-hob gives you all the freedom you need to create exceptional dishes inspired by your style and taste. 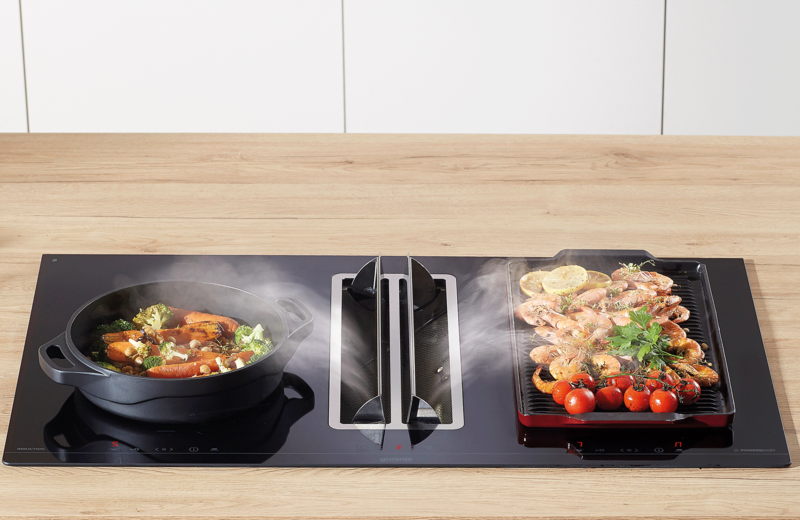 The integrated hood means you do not have to worry about headroom, freeing you up to place the hob anywhere in the kitchen, while a myriad of features that simplify your interaction with the cooking surface mean you are truly able to enjoy more freedom while cooking. 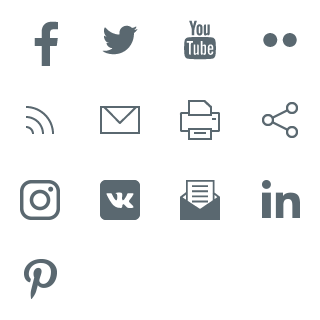 Smart solutions for more family time. Maximum headroom for a little kitchen fun. Lots of extra space for props and pans. 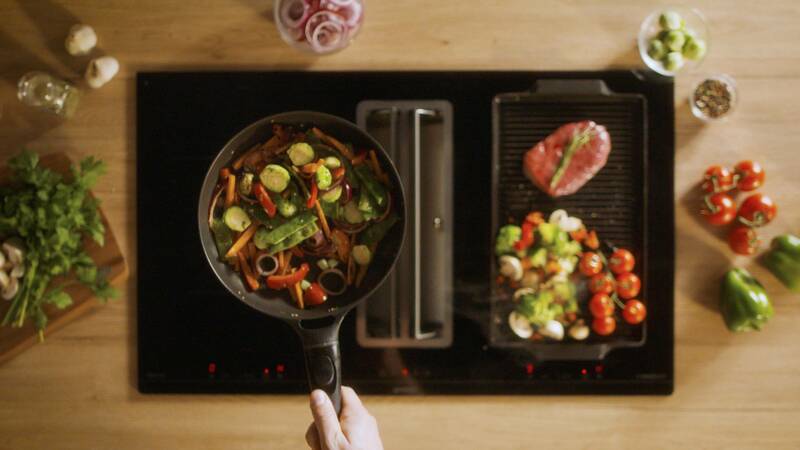 Efficient technology for quicker, safer and easier home cooking. 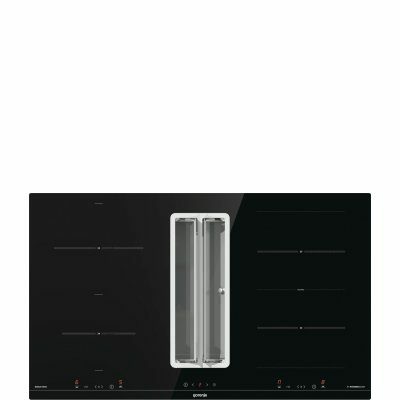 This appliance has a sleek and modern design with a completely flat surface. 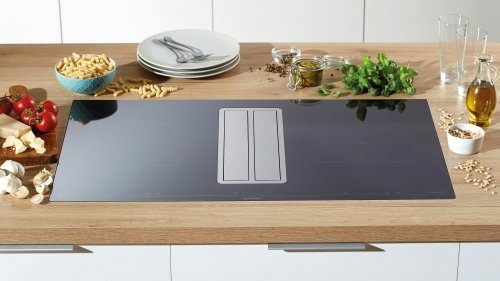 It is made of high-quality materials, with stainless steel hood flaps and black polished finish of the entire hob standing out in particular. The flaps of the hood can be operated individually. 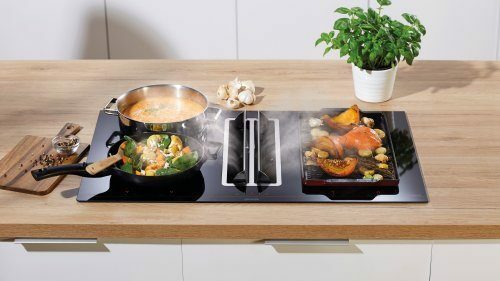 This comes in handy when cooking only on one side of the hob, as it allows all extraction capacity to be concentrated on one side. 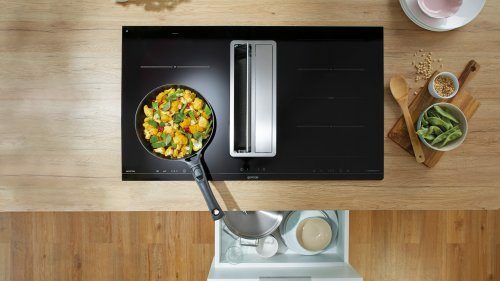 The minimalistic design of the appliance allows easy and fast cleaning. The anti-grease filter and the grease drip tray are easily removable from the right side of the hood. 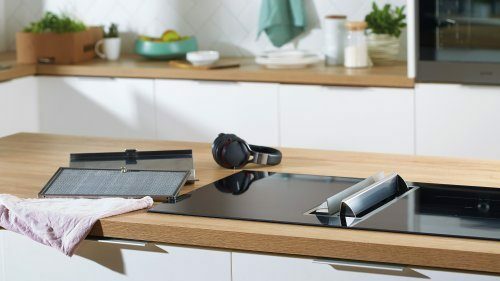 Moreover, the liquid collection pan that mainly collects condensation, but also liquids resulting from accidental spills during cooking, placed under the appliance, is easily accessible. All parts are dishwashable. 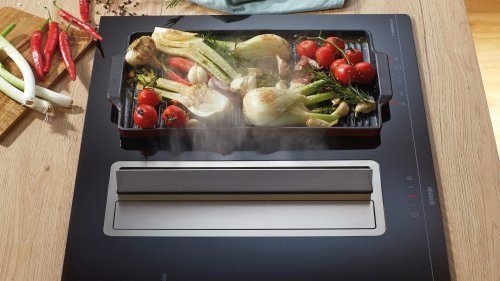 You can install this appliance in any type of kitchen thanks to the adjustable height and depth of the telescopic hood pipes. The air outlet can rotate by 360°, and the motor box can rotate by 180°. Because the latter can be placed behind the cabinet, it gives you lots of space inside the drawers. 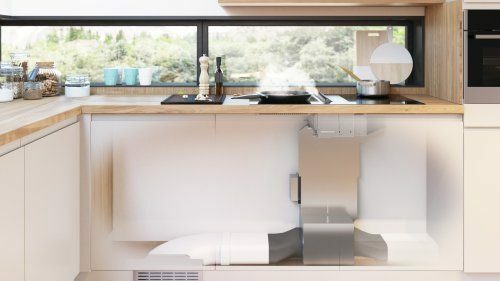 Extraction system draws in steam and cooking odours, catches the hard particles in a grease filter, and expels the air out of the room through ducting in an outside wall to the air outside. When latter is not possible, then it is time for the recirculation system. The air is sucked into the hood, filtered in released back into the kitchen.